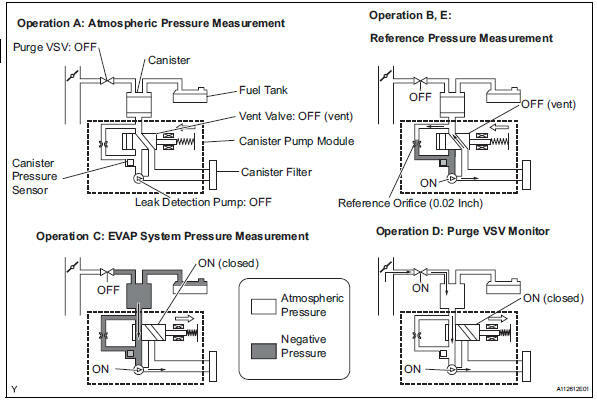 The description can be found in the evap (evaporative emission) system (see page es-335). 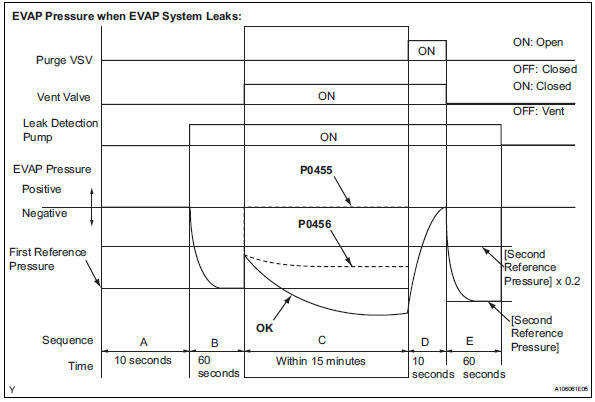 Refer to the evap system (see page es-340). 5 Hours* after the ignition switch is turned off, the leak detection pump creates negative pressure (vacuum) in the evap system. 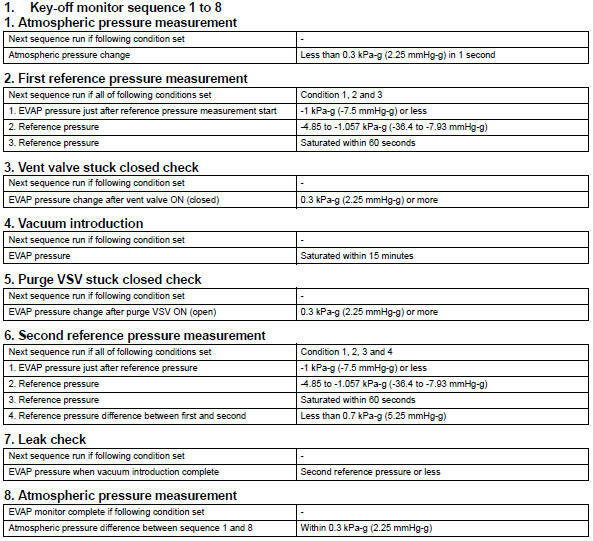 The ecm monitors for leaks and actuator malfunctions based on the evap pressure. *: If only a small amount of fuel is in the fuel tank, it takes longer for the evap pressure to stabilize. In operation c, the leak detection pump creates negative pressure (vacuum) in the evap system and the evap system pressure is measured. If the stabilized system pressure is higher than [second reference pressure x 0.2] (Near atmospheric pressure), the ecm determines that the evap system has a large leakage, illuminates the mil and sets the dtc (2 trip detection logic). In operation c, the leak detection pump creates negative pressure (vacuum) in the evap system and the evap system pressure is measured. If the stabilized system pressure is higher than the second reference pressure, the ecm determines that the evap system has a small leakage, illuminates the mil and sets the dtc (2 trip detection logic).